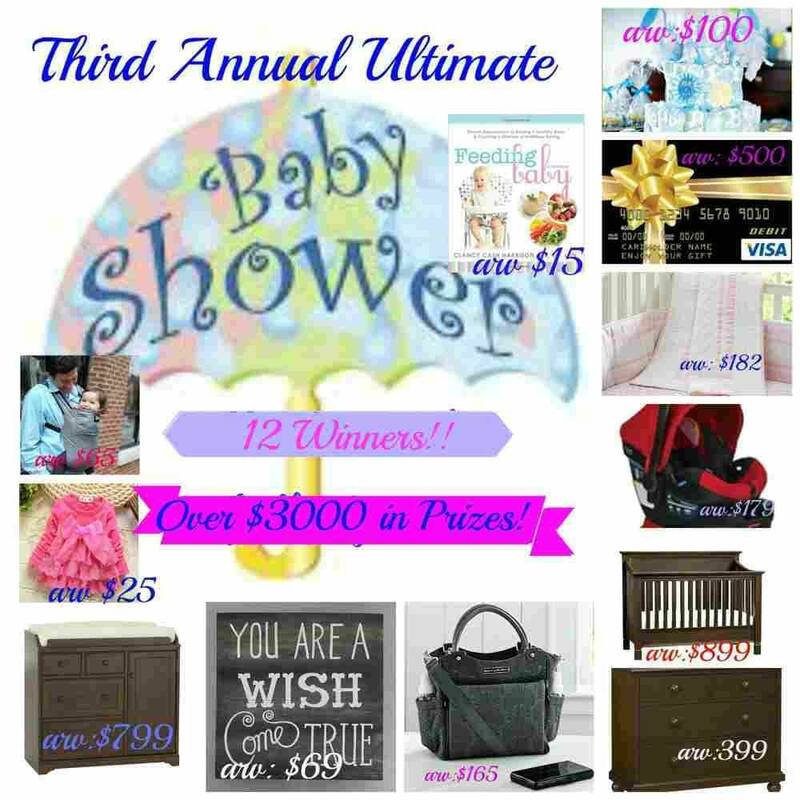 Welcome to our 3rd Annual Baby Shower Event! and co-hosted by Golden State Mom, Joyful Gifts by Julie, Southern Mom Loves, A Little Bit of Everything, A Man’s Take on Things, Michigan Savings & More, Mom ‘N Daughter Savings, Mommy on the Money, What U Talking Bout Willis, Goody Bag Mall, Diaper Wrecker, Mama Smith’s Review Blog, Imperfect Women, Susie’s Reviews & Giveaways, Swanky Point of View and Heartbeats ~Soulstains. Are you planning for a Baby Shower event? We have some great gifts for you to win in this giveaway! Good Luck for Baby Shower Giveaway! This new granny wants to win! My granddaughter has a Minnie Mouse thing going so I’m going to decorate her room with a Minnie theme at my house. I’m leaving that up to my niece, this would be a gift for her. I am entering this is hopes of winning for my daughter-in-law who is having a baby in June. She is a creative person, but I’m not sure how she would decorate the room for the new baby boy. She already has a 3 year old boy, a 18 mo. foster boy, and then the new one on the way. Since I already have 2 girls and this one’s going to be a boy, I’m going to paint the room a light blue with clouds on the ceiling and dark walnut or oak furniture. Some good furniture because I think boys are harder on everything ! Thank you for the chance to win this !! I am planning on a lot of Winnie the Pooh decor. First baby, a little girl, we are doing an arrow themed nursery. I have a baby Mickey room, and plan to paint a light blue. We are decorating in Disney. My granddaughter’s room is to be decorated with woodland creatures. Would love to win. The new baby is going to have to share a room with his/her one-year-old sister whose room is completely decked out for a princess. We’re waiting to see if it’s a boy or girl to see if we need to redecorate. If it’s a boy, then we’re switching to a gender neutral puppy theme. My daughter LOVES puppies! I would love to win this for my niece who is having a boy in July. I’m attending her baby shower in June. I don’t know how she’s decorating the nursery. Thinking about a Cars theme.